Tim Ely has been practicing yoga and meditation for 25 years. Dedicated to his practice and finding such health and vitality through yoga, he is passionate about sharing this life changing discipline to others. He discovered Sumits hot yoga and sees this as a great method of getting all the benefits of this practice to beginners as well as seasoned yogis. Tim enjoys that Sumits is a well rounded approach to the yoga lifestyle. Tim is an artist and craftsman who uses reclaimed wood to make custom furniture and sculpture. He is also a fine piano technician and an excellent handy man…in case you know anyone who is looking! Tim has a daughter attending UMKC for a degree in literature, a son at Colorado University pursuing an engineering degree and a daughter who is attending Kansas City Academy. 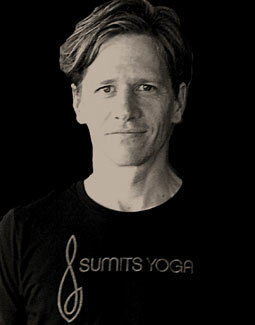 Tim first began practicing yoga at home, and has now made the Sumits studio his home. He is enthused to introduce YinNidra to our studio, combining deep stretch with meditation.